Are there real, verifiable connections between the prophecies of the past and what is happening in the world right now? Are the signs of the apocalypse happening before our eyes? For example, the first sign is ''Plagues and Pandemics.'' From drug-resistant staph in American hospitals to outbreaks of Ebola in the Third World -- are new and deadly plagues the beginning of the end? From the writings of medieval seers, to the words of today's most respected scientists, this documentary examines these questions, presenting varying viewpoints from skeptics and ''true believers.'' 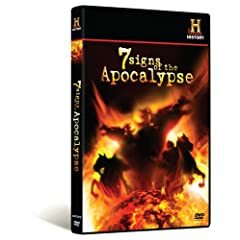 It looks back at ancient prophecies across every culture including the Mayan Calendar, the Chinese I Ching and the Bible, breaking apart the origin of these signs and looking for connections in our modern world.